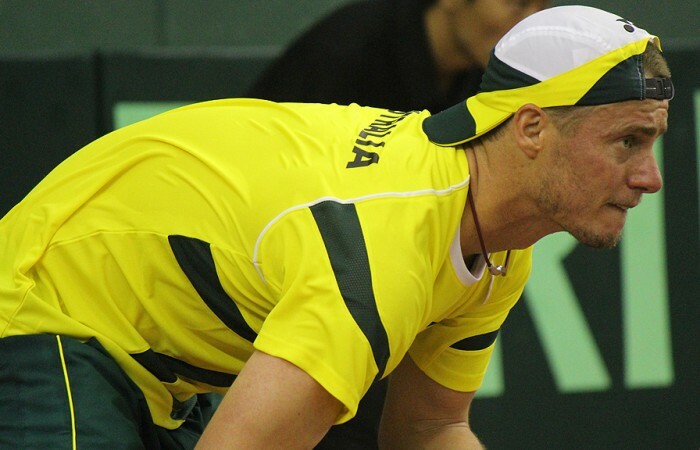 Davis Cup warrior Lleyton Hewitt is desperate to restore Australia's place in the top flight and taste World Group action one last time before his career ends. Davis Cup warrior Lleyton Hewitt is desperate to restore Australia’s place in the top flight and taste World Group action one last time before his career ends. Standing in the way is a tricky promotion playoff tie against a Florian Mayer-led Germany on clay at Hamburg’s Rothenbaum Stadium, starting on Friday (1930 AEST). Hewitt, who showed some encouraging form at the US Open, was in the thick of Australia’s golden run of four finals in five years between 1999 and 2003 and will be playing in a national record-breaking 33rd Cup tie this week. “I don’t know how long I will keep playing for and I would love another shot at playing in a World Group tie,” Hewitt said. 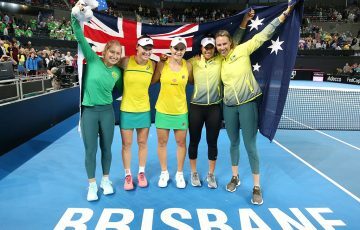 Australia has not only had difficult draws since being bundled out of the elite World Group five years ago but not enjoyed much luck either. 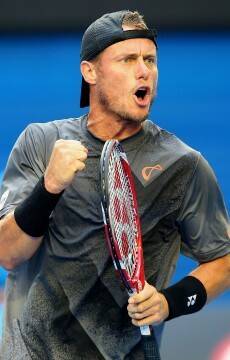 Hewitt fell ill during the 2007 World Group playoff in Serbia and missed the 2008 tie in Chile because of surgery. 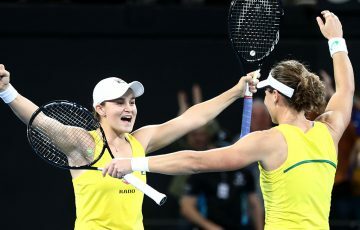 The team pulled out of the 2009 tie against India because of security concerns while Hewitt was injured in the gut-wrenching defeat to Belgium in Cairns a year later. Last year Australia pushed Roger Federer’s Switzerland to the limit in Sydney before Stanislas Wawrinka prevailed over Hewitt in the final set of the fifth rubber. Hewitt has a terrific 18-6 win-loss tournament match record at the Hamburg venue, having lost 7-5 in the deciding set to claycourt supremo Rafael Nadal in his most recent visit half a decade ago. The absence of Germany’s two highest ranked players is a huge boost for Australia. World No.18 Philipp Kohlschreiber was omitted following a falling out with team captain Patrick Kuehnen while US-based No.21 Tommy Haas opted to skip the tie in his old hometown. 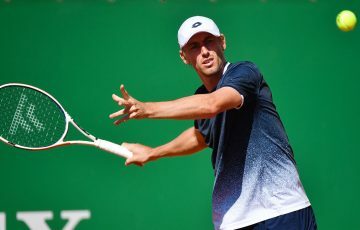 While world No.25 Mayer is going to be a handful for world No.100 Hewitt and No.42 Tomic, the Australians should fancy their chances against Germany’s likely No.2 in 127th-ranked Cedrik-Marcel Stebe. 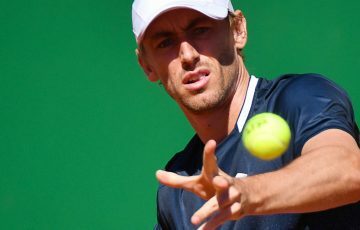 Australia’s doubles pairing of Hewitt and Chris Guccione is expected to take on Philipp Petzschner and Benjamin Becker, the Germans have never been paired together in Davis Cup. Question marks surround how Tomic will respond following his controversial US Open campaign with the tie being played on his weakest surface. 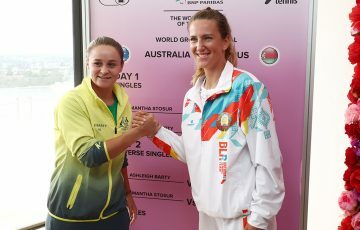 If he reacts in the same fashion as he did to last year’s Flushing Meadows flop, the Australian team will be very happy. After being pummelled 6-1 6-0 6-2 by Marin Cilic in New York 12 months ago, Tomic defeated former top ten player Wawrinka and took a set off Federer in national colours in the Sydney Davis Cup tie. The combination of cool conditions in Hamburg and clay could turn the tie into a real arm wrestle with the ball holding up on the surface. 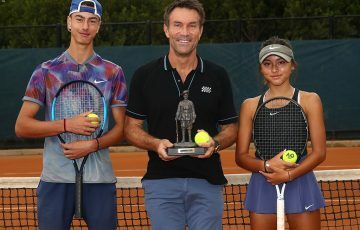 Davis Cup captain Pat Rafter has praised Tomic’s attitude in training but the youngster’s fitness may well be tested in longer matches at Rothenbaum Stadium. Watch Australia’s World Group Play-off versus Germany live on 7TWO beginning on Friday night at 7.30 pm.